Styling update for the R nineT and new S1000RR expected soon. BMW's retro range gets some new paint schemes, ooh la la! BMW often use their Garmisch booze-fest to unveil some new model updates and this year is no different, with a host of model changes emerging from the Weise beer smog. 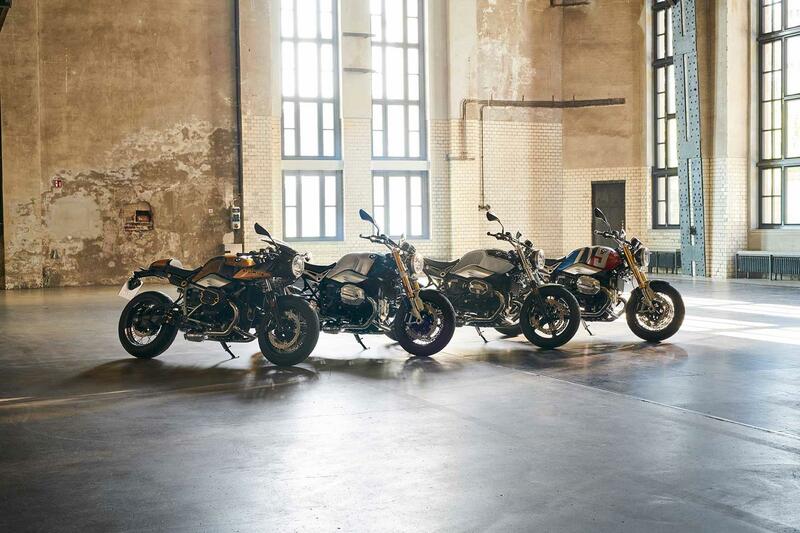 The most heavily updated models, and by far the coolest changes, are from the BMW R nineT family. 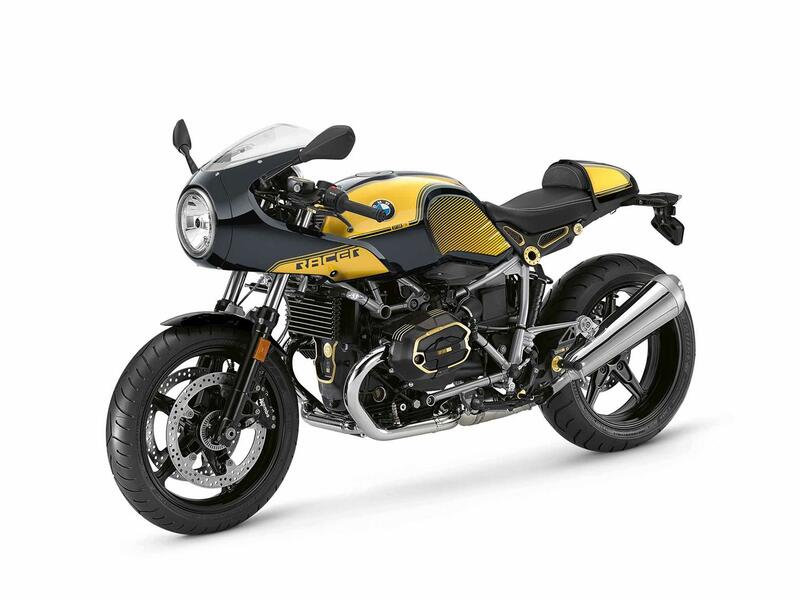 The R nineT, Pure, Scrambler and Racer are all available with a new Spezial paint scheme as well as a range of matching accessories. The BMW R nineT Scrambler and Urban GS now have the cross-spoked wheels available as an option, while the entire range comes with a dynamic brake light (quick pulses under heavy braking) as standard. There’s plenty of new technology too. The entire BMW K1600 range now comes with Hill Start Control Pro as standard. This differs from HSC as the bike automatically applies the brakes on a steep gradient (5%) when at a standstill. The K1600B has also the standard seat height reduced by 30mm to 750mm, eliminating the need for a low seat option. Ironically BMW have now added a high seat option that’s actually the height of the old standard seat. There’s also a new Imperial Blue paint finish plus extra speakers for the Grand America. There are minor updates across the entire range including new self- cancelling indicators as well as an update to the Motorrad Connected app, but as ever it’s sometimes the bikes that go without updates that are the most telling. Other than a slightly different battery, the BMW S1000RR is unchanged. With WSB Althea Racing’s boss Genesio Bevilacqua saying the team is expecting a new bike in February next year, it all points to BMW bringing us their new litre sportsbike in November. There are no updates for the BMW R1200GS range either but again, with spyshots emerging earlier in the year of a new variable valve timing engine, it’s looking increasingly likely we’ll see a new Boxer soon. These updated models and extras are all available to order from August.